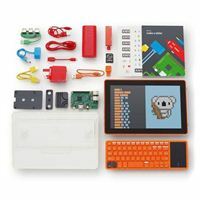 When you build your own Kano computer, you get a real computer, powered by Raspberry Pi 3 and Kano OS. You get all the apps and programs you need. You get a powerful learn-to-code tool, designed to unlock potential, and unleash creativity.